KIGALI – Rwanda has emerged as one of Africa‘s fastest growing economies in recent years attracting a growing number of investors who want to set up businesses in the country. According to the International Monetary Fund (IMF) Rwanda has seen economic growth averaging more than 7 percent every year since 2000. 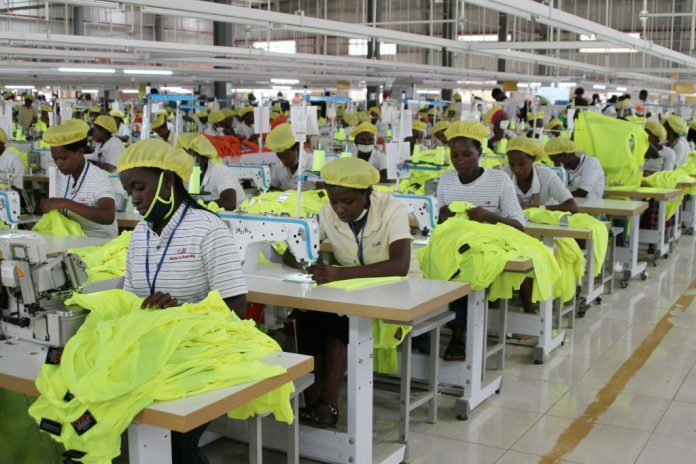 Figures by Rwanda’s Development Board (RDB) show that 173 projects worth US$2 billion had been registered in the country by the beginning of 2019, boosted by major manufacturing and mining projects. To fast track Rwanda’s development agenda specifically through improved service delivery in the country, RDB was formed in 2008 after merging several government institutions. For Prosper Ndayiragiye, country manager of Africa Improved Foods, a local manufacturer of fortified and nutritious complementary food, Rwanda was a prime destination for business because of its stable political climate and the country’s economic growth. The company started operations in the country in 2017. “I would say that in Rwanda mostly what is easy is for example, you can start your company quickly, company registration goes very first. You can also make agreements, commitments with the government on incentives, that can also help the company to start,” he said. In the last few years, Rwanda, has become an investor magnet, because of its stable political climate and its economic growth. Initiatives such as the Kigali Special Economic Zone, a designated area on the outskirts of Kigali, which accommodates manufacturing companies dealing in essential products that the country has been importing at huge costs, have also attracted international companies such as Volkswagen to open factories in the country. The government gives investors access to plots at a subsidized rate among other incentives. “31,000 jobs created in the economy is the estimate related to those investments. The second part is that it represents an increase in business activity, and investment activity, that then produce tax revenue, which feeds, education, up scaling health care, all the things that government funds that supports it as well, and I think the third factor is that activity promotes more activity. So when we get a level of investment, what it means our rate of investment is going to be increasing and more investors then encouraged to come,” added RDB’s Chief Investment Officer Guy Baron. Rwanda’s economy is expected to grow by 7.8 percent in 2019 helped by farming, mining and construction.